Before chromebooks, iPads, and even lined paper, students still had to complete their assignments. 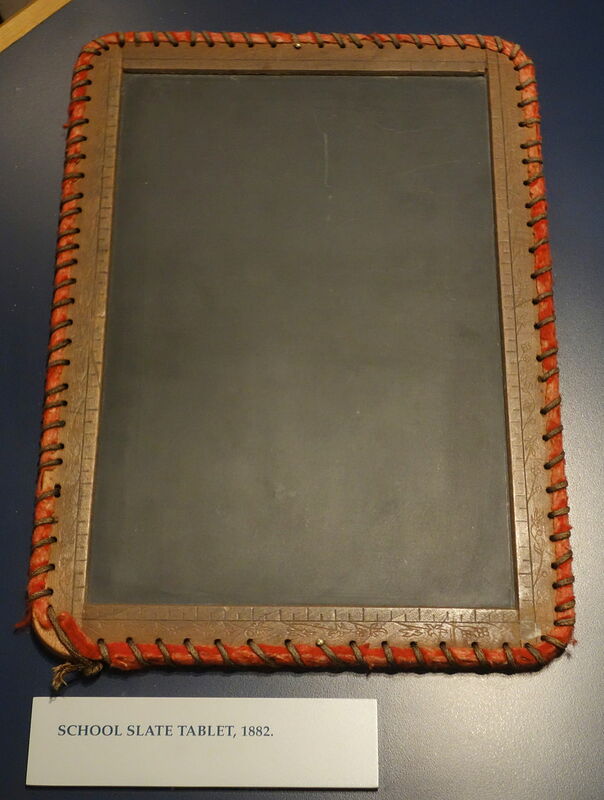 In the past, students did most their schoolwork on a slate. A slate is a small, rectangular blackboard made from slate stone. 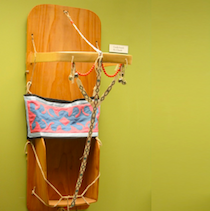 They had two sides and the edges were wrapped in leather or wood to protect students’ hands. 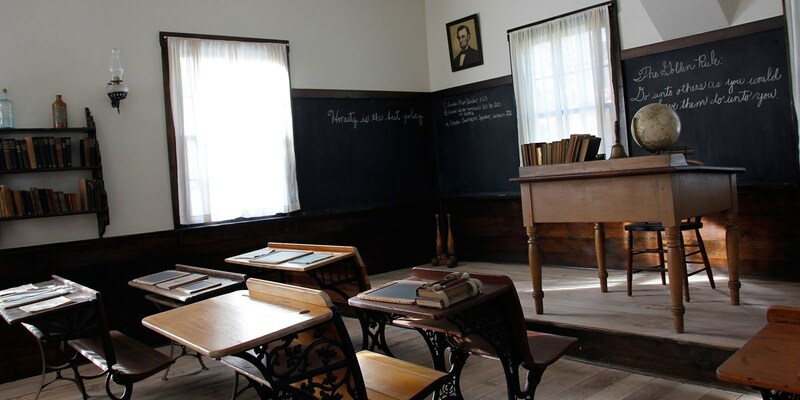 In the 1800s, schools used slates to teach students reading, writing, and math. Students used slates because paper and ink were expensive. Students used slates to complete class work and practice their lessons. Students also took slates home to practice what they learned in school. 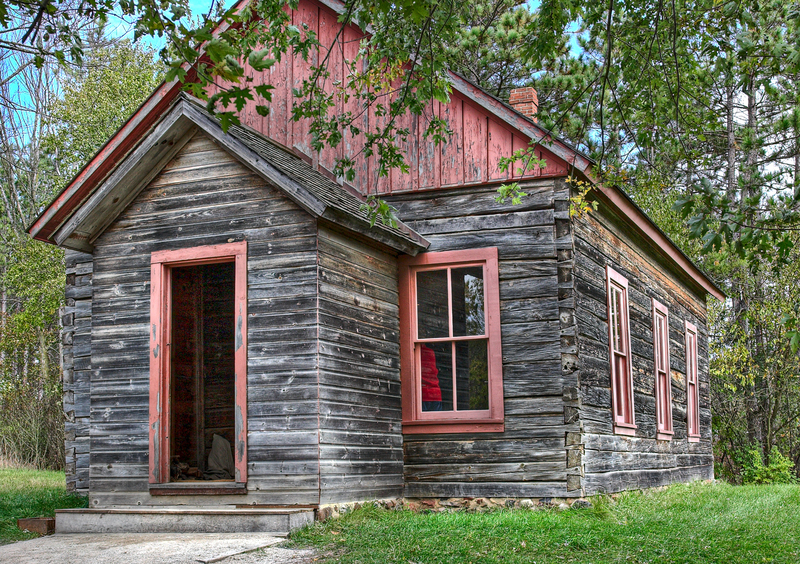 The Raspberry School at Old World Wisconsin. 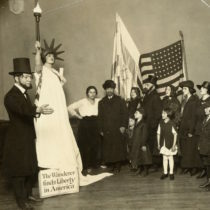 Image courtesy of the Wisconsin Historical Society. Teachers at the Scandinavian Raspberry School in Wisconsin used slates in their teaching. At first students used slate pencils to write on their slates. This was like using a light rock to write on a dark rock. 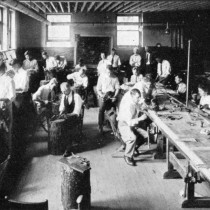 Later, slate pencils were replaced with soft chalk. The soft chalk was popular because it made writing smoother. It was easy to erase homework written on a slate. After the teacher checked the student’s work, students just used a cloth or a wet sponge to clean their slates. Because they only had one slate to write on, students erased their work many times during a day. This forced students to memorize their lessons every day. Penmanship or handwriting was very important in the past. Most students learned how to write correctly by copying their teacher. The teacher would write letters, words, or sentences on the chalk board at the front of the room. The students would copy the spelling, shape, and spacing of what the teacher wrote onto their own slate. Students with good handwriting were asked to write on the large chalkboard at the front of the room. This was a special honor. 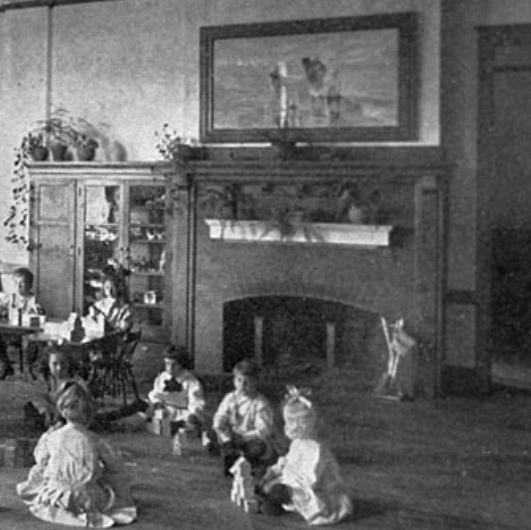 The interior of a one room school house showing exercises on the blackboard. 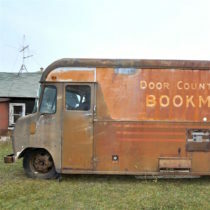 Image courtesy of the National Park Service. In the 1880s, Austin Norman Palmer introduced a new writing method called The Palmer Method. 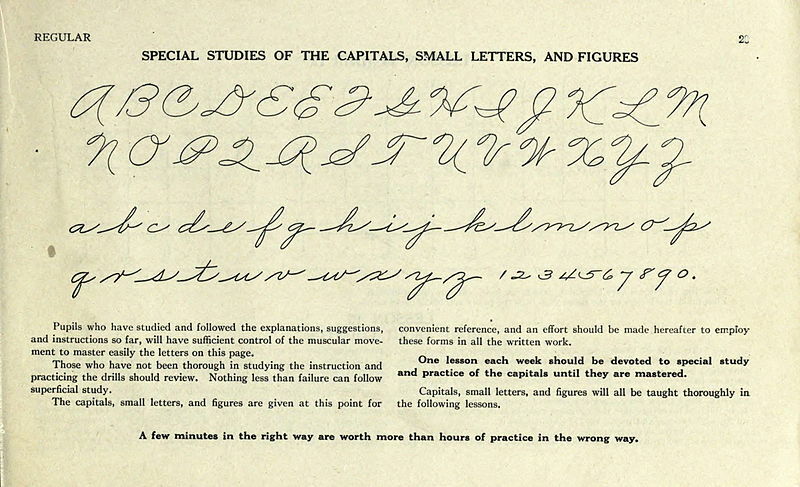 Austin Palmer struggled to write in the fancier writing system called Spencerian that was being taught in schools. The method Palmer invented made writing quicker, neater, and more consistent. It had fewer curls and was simpler in form. People who used the Palmer method wrote without moving their fingers and wrists. Writers wrote letters with round up and down strokes with a locked elbow. Locking their elbow in one place kept a steady speed, as writers did not lift the chalk from the slate or the pen from the paper. 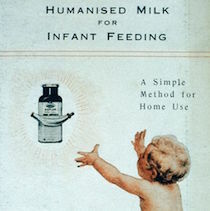 Businesses used Palmer’s method first. It helped them complete their work faster and make more money. Writing with the Palmer Method. Image courtesy of Wikimedia Commons. 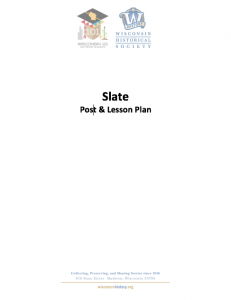 Much like the slate, new ways of teaching have replaced The Palmer Method as technology changed. These new handwriting methods teach both print and cursive writing skills. And just like students do not use slates any more, many students no longer learn to write in cursive. Do you?